Even though social media is hosting billions of people on different mediums, still there’s no shortage of companies who spend a very tiny amount of their marketing budgets on social media channels, especially eCommerce portals. 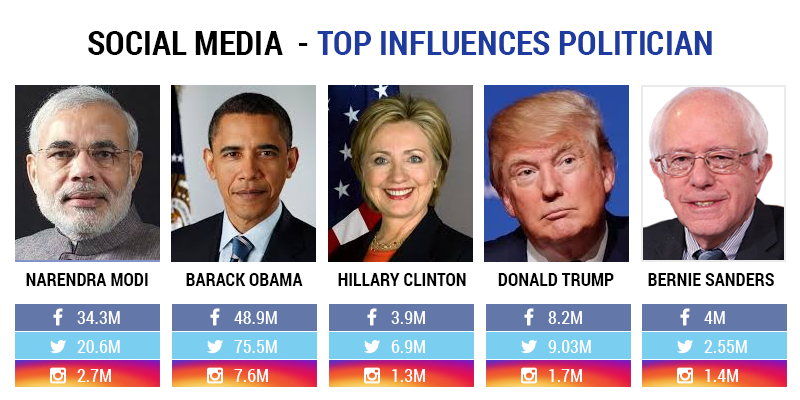 Though the power of social media has been accepted even by the world leaders such as Barack Obama, Hillary Clinton, Donald Trump, Bernie Sanders, Narendra Modi etc. who have successfully used Fb, Twitter, Instagram etc. to connect with their followers and adding numbers to the list. However, a lot of companies aren’t shelling out much on social media marketing (SMM). In the year 2015, Duke University conducted a survey on total spending of companies on SMM, and reports were quite overwhelming and intriguing at the same time. Companies are only spending 10% approximately of their total budget on social media. However, it will significantly increase to 22% in the next five years. Social Media channels such as Facebook, Twitter, Instagram, Snapchat have become mainstream media channels and even outranked TV and print media in terms of popularity. It wouldn’t be wrong if we say, they have become an indispensable part of our lives, and we feel connected to the world by just being on those mediums. Gone are the days when social media was a medium to connect with family or friends. As the time elapsed, social media evolved, too. For instance; a lot of changes and experiments happened like creating Businesses Page in different categories to adjust with search engine algorithms. Also, for SEO purpose, several features have been added for business-friendly purposes. Moreover, seeing the popularity and emerging needs of businesses, new algorithms were and are developed to help companies in interacting with their customers. In layman, social media channels are justifying with businesses and are turning out be the commerce portals to benefit eCommerce companies. 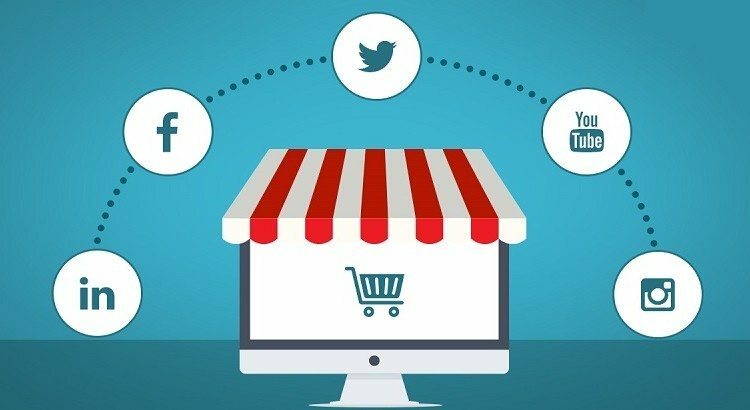 Following are some listed ways by various trends and surveys, which can help your eCommerce venture highly rewarding on social media channels. The marketing rule books say, ‘go where your customers are’. And seeing people’s love towards social media and ADDICTION, it has never been easier than before. Social Media can grow your business if you follow the guidelines and then use it as per your strategy to remain in the business race. You can prepare guidelines or take notes on how your customers react to a particular product that you are offerings or your competitors are offerings. By having access to a lot of stats and data, it’s never been easier to find the faults and weakness in business strategies and to influence the customers for driving sales at the end of the day. People want feedback as soon as possible, or they want answers to their questions as soon as they raise a question. Hence, social media do that for businesses and boost chances of conversion before it gets too late. If you don’t strengthen your social media, then the potential lead can find another great service that clears his clouded thoughts about the product. Moreover, you can respond to negative views in a polite way by describing the reason for the hatred spilled on you. Sometimes, a lot of rivals do that and if you respond to those comments, your potential leads will come to know where the problem is. Hence, again a ‘win-win’ situation for you. With so many features available to customize the business pages, social media accounts have become a storefront for businesses. There’s no shortage of people who search for companies and their products through their page. A lot of things have and seminars have conducted already over this topic. Your social business pages like Fb, Instagram, Pinterest, and Snapchat etc. help you make the perfect impression on niche customers’ minds. However, a lot of things are dependent on your page customization and how to make information accessible. Nowadays, companies are treating their social pages as their unique individual portals and working hard to make it great as they do on their websites. A lot of marketers mistake social media as an another medium to generate sales and drive traffic. However, they eventually forget that; it’s the way by which they can demonstrate their skills and add value to their brand. In addition, they don’t have to force-feed customers with unnecessary information just to drive traffic to the portal for sales purpose. GoPro on Facebook is a prime example of it. The company has done smart use of FB and very rarely advertise its products. Rather it created engaging content in its field and cleverly conveyed its message through those write-ups, images, and videos. GoPro used their cameras and took various HD images, videos and showcased their brand quality. They also give ideas about photography’s and videography’s angles etc. to aspiring camera operators. A lot of success depends on the content strategy and how to use the listed products and services in an addictive content to consume for the followers. Gone are the days when free marketing was on the significant rise. There’s an unending list of companies benefitted from free marketing on Fb and LinkedIn. A lot of Fb pages that began as fun to curate different content from various sources are now running successful start-ups. But now, the scenario has been changed. Nowadays, marketers have to spend an extra amount of money to extend their post reach. However, it has some pros, too. Following is the list of those benefits that come along with paid advertising on social media. Facebook, LinkedIn have made their platform truly business friendly. Altering customer segments by age, location, interests, job title and much more, businesses can extend their reach. Thanks to the Facebook Custom Audience segmenting tool, Shopify, one of the most recognized online retail start-ups, witnessed a 50-percent reduction in cost-per-lead. Since the video has turned out to be an effective way to promote products, a lot of companies are using a good part of their budget on video production. Moreover, a video brings the real-time feeling of the product and customers can see it in action. And the final question is; who doesn’t love seeing a video? Isn’t a video much more engaging than text? Then why not spend money on creating a video and share it on social media for the maximum output. Social media tells clearly which content is performing well, and what type of content is bringing more engagement. It helps companies to analyze, which channels are top performing, and type of action hat customers are taking. Today every brand is a publisher because they have social media accounts to share content. Hence, they wear the hat of distributing the content. Take a look at Starbucks or Nike. They don’t only promote their products on Instagram, Fb, and Twitter, but are social media sensations in the branding world. Social Media has unlocked many doors to paramount success. However, it entirely depends on the businesses to use the platform for distributing the content. 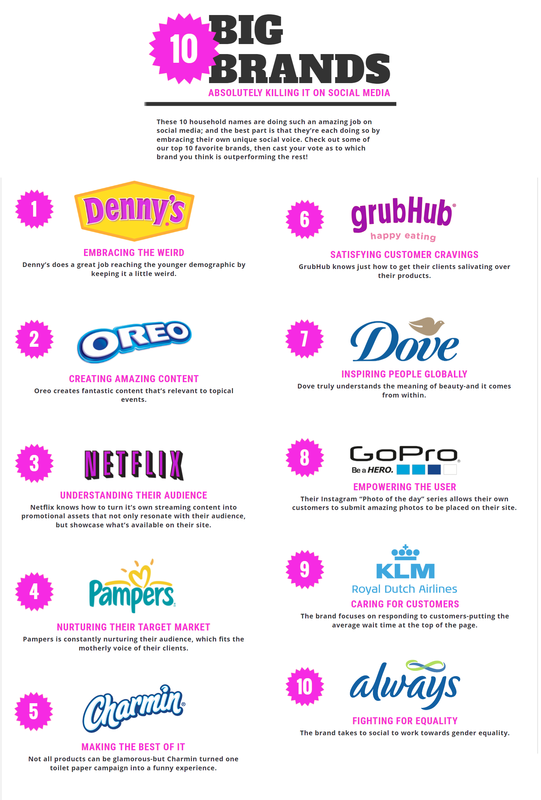 Companies like, Oreo, Netflix, Pampers, Charmin, GrubHub, Dove, Royal Dutch Airlines, Always, Gillette, GoPro, Nike etc. have done an amazing job on social media. Moreover, companies can take notes on how to implement ideas in the content without selling it to the users. Influence is the key when you want to look professional. For instance; blogs, videos, images, and videos are being used by brands. Nowadays, GIFs are largely used, which has challenged companies to use them that can depict their product in an engaging way. It’s one of the biggest trends emerging in the blogging world. A lot of top rated websites curate content, which can find its niche audience and drive traffic to the website. Content curation becomes valuable if you curate similar content within your niche. For instance; if you are selling running shoes, then you can easily curate doctor’s advice of using such kind of shoes during the jog. It will not only influence people but will show your brand as a serious one regarding the health. Every day, social media brings new opportunities to brands because of its dynamic environment and based on current trends. The things, which worked for your brand yesterday, probably will not bring same influence on future posts. Being the shepherd means, how you interact with customers, advertise and publish content. Unlike SEO or any other form of marketing, Social Media can analyze the demographics about the post and craft future experiments to find the best solutions for the business needs.